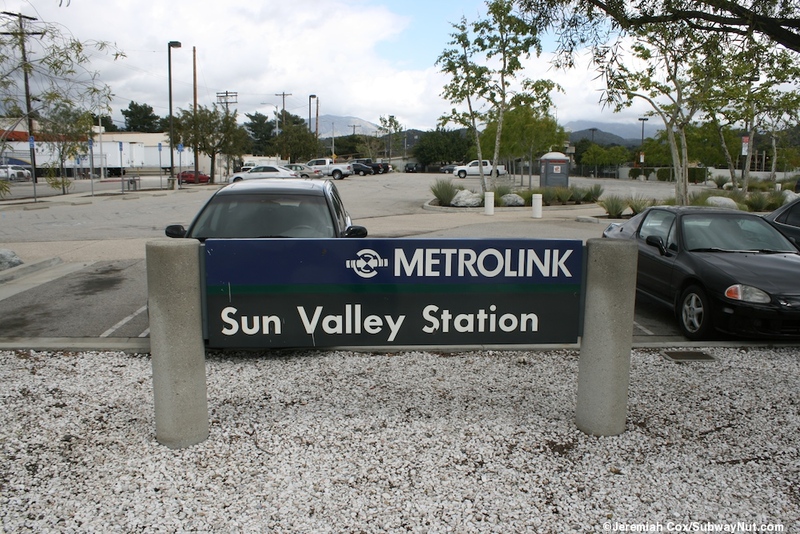 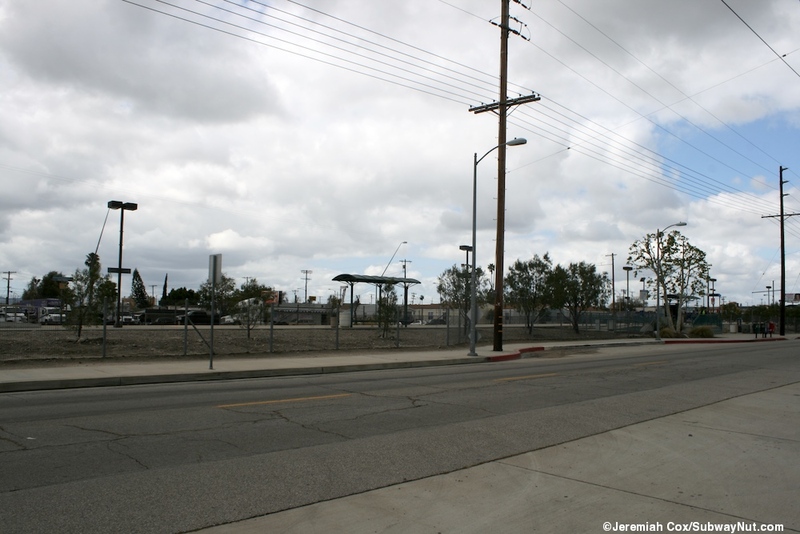 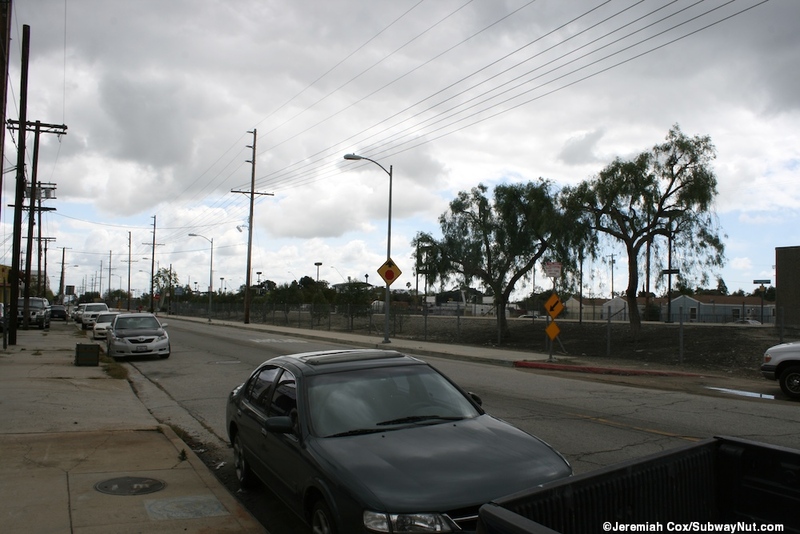 The Sun Valley Metrolink Station is as an infill station that opened on on April 30, 2001 ('Sun Valley Links Up Commuter Rail Station Opens Today' Daily News of Los Angeles, April 30, 2001, Link) and is located in an industrial area that gives it minimal ridership and it falls close to the bottom. 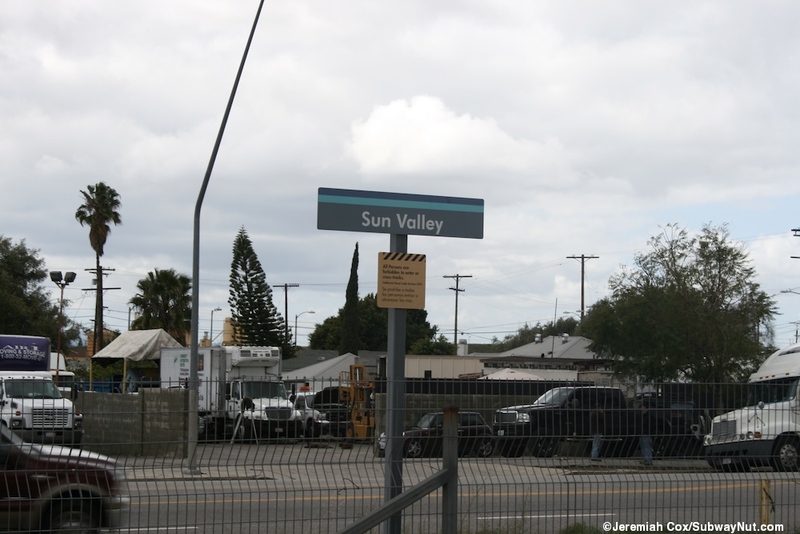 The station is located on a stretch of single track railway where trains are running between two different streets of San Fernando Road (one may be called Blvd, one the minor on the northside of the tracks is called 'little'). 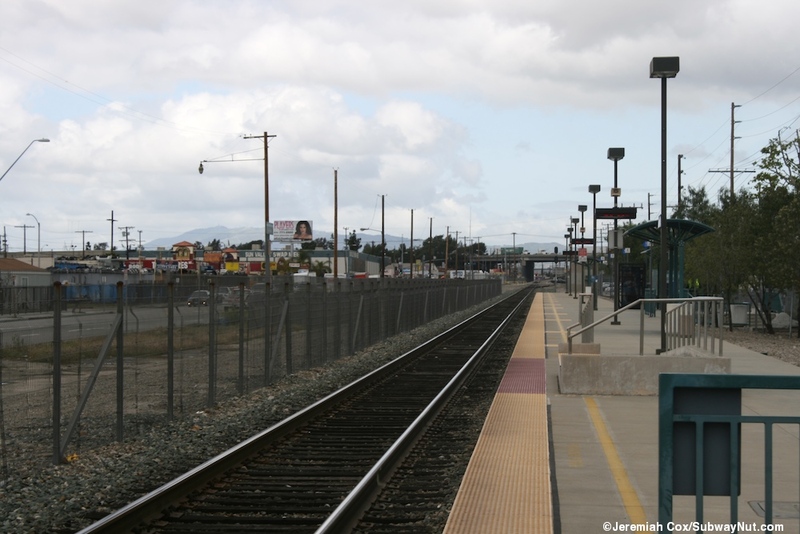 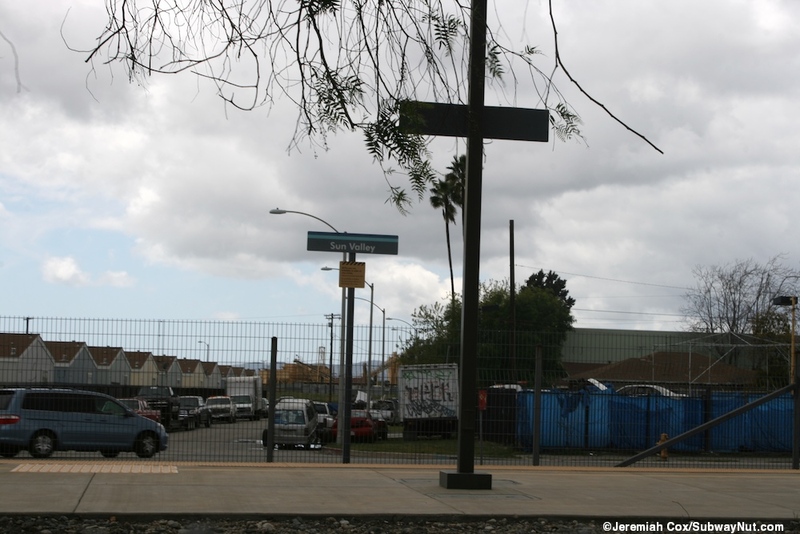 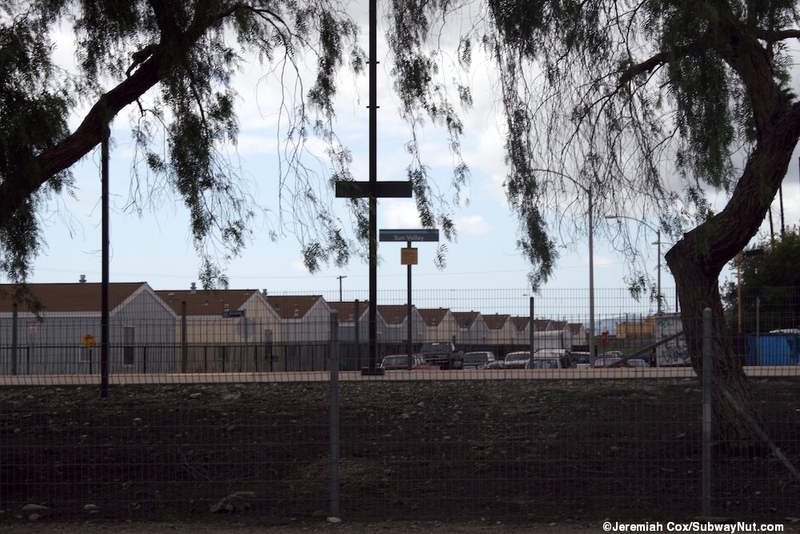 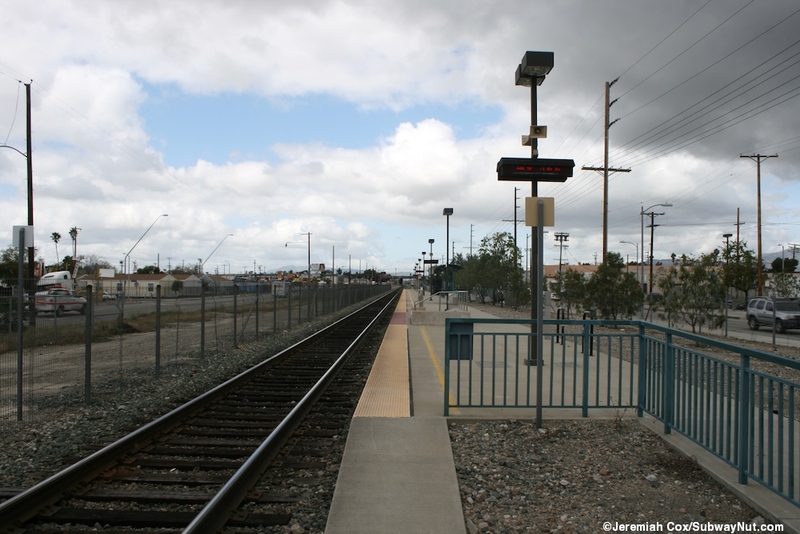 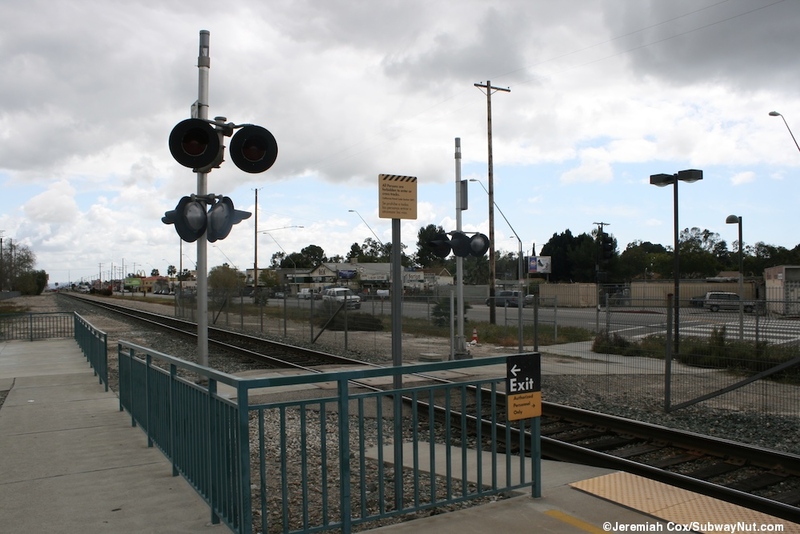 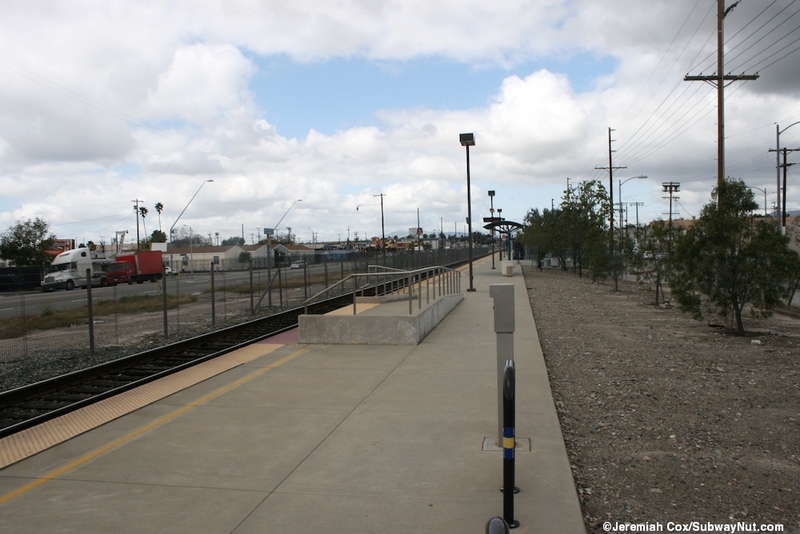 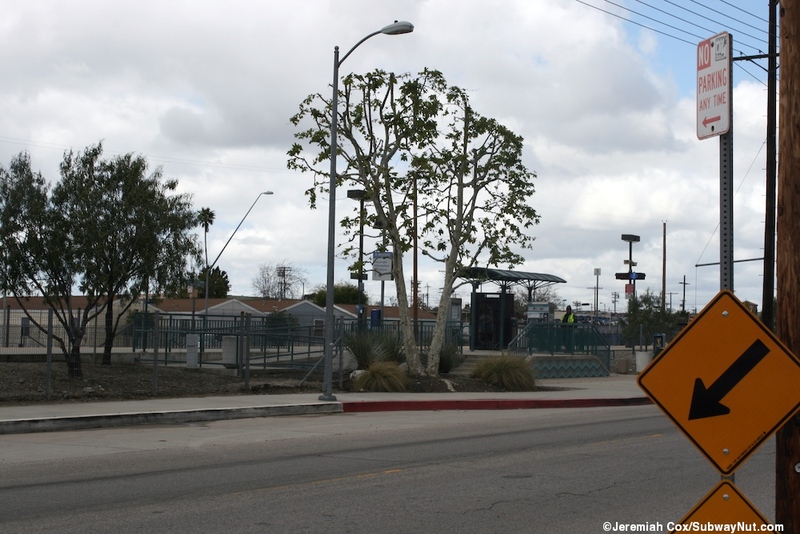 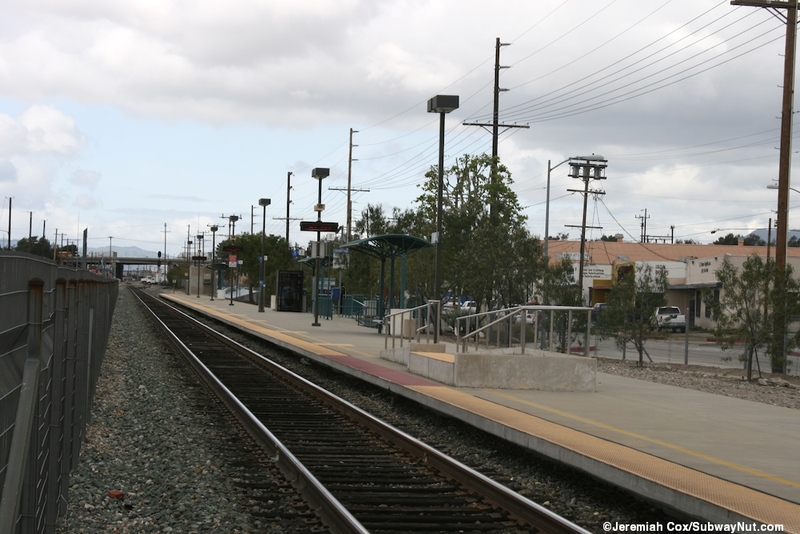 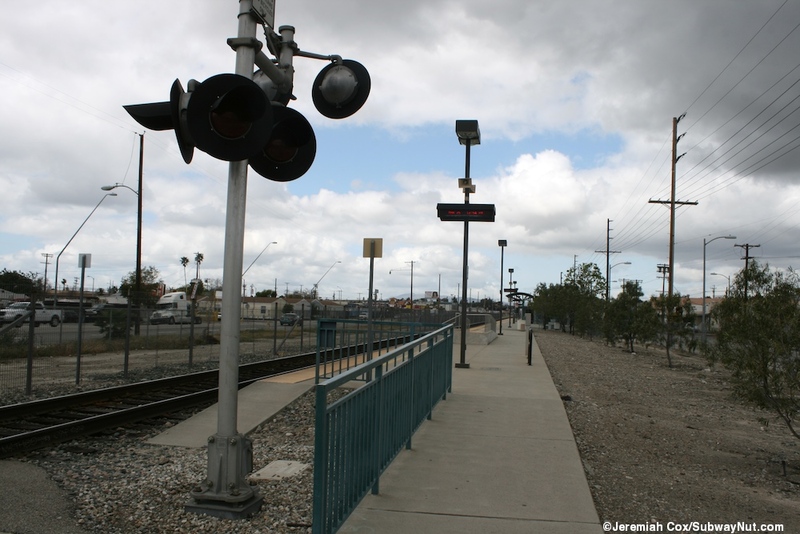 The stop has a single platform for the single track and is located smack inbetween the major auto grade crossings at Sunland Blvd and Penrose Street. 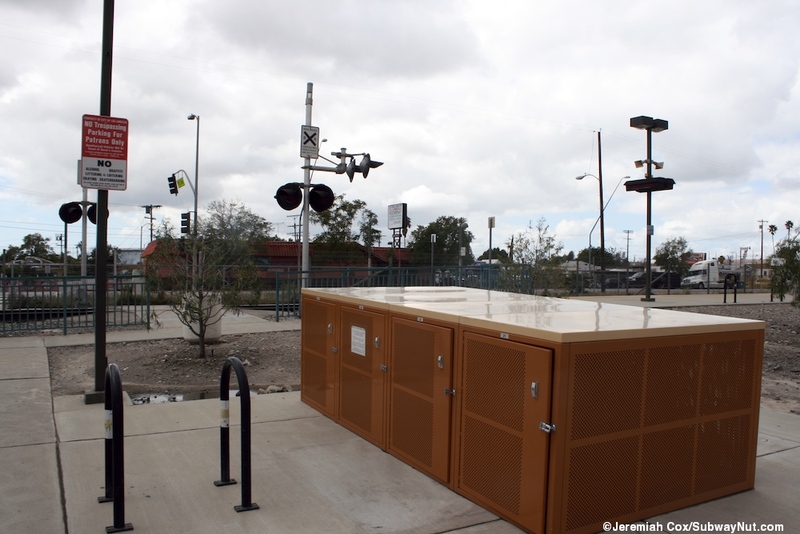 This platform, starting at its southern end begins at a pedestrian only grade crossing where there are are a few bike boxes and it is across 'little' San Fernando Road from the station's 320 space parking lot located across the street. 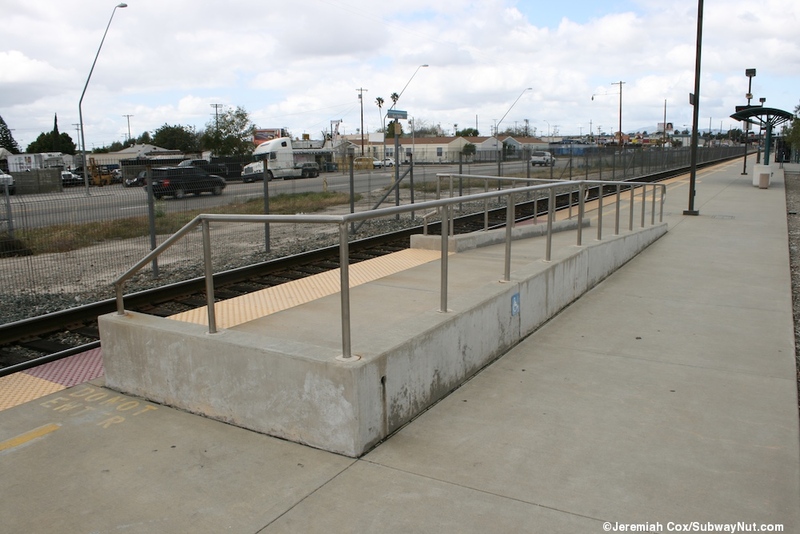 The platform continues with the required wheelchair mini-high platform before a simple modern shelter with benches beneath. 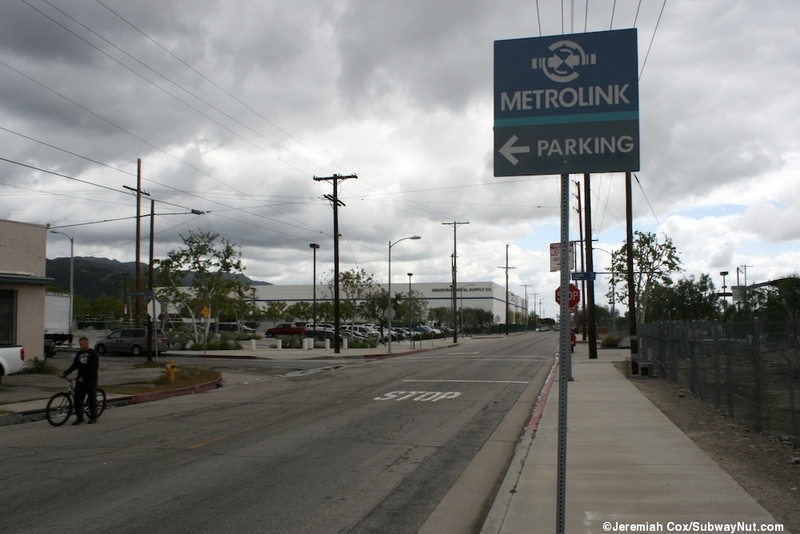 Next is the station's main entrance, here a few steps and a ramp lead from a crosswalk across Olinda Street (here a stub-dead end, it has other sections as well) and at the northern end of the parking lot. 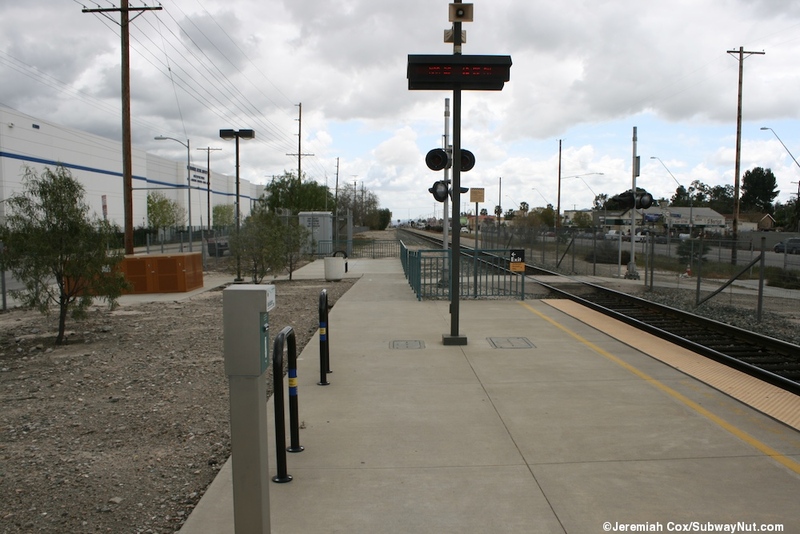 This leads to a ramp and staircase up to the platform where a small simple shelter covers the station's single TVMs along with a gated-off pepsi machine and a fare validator. 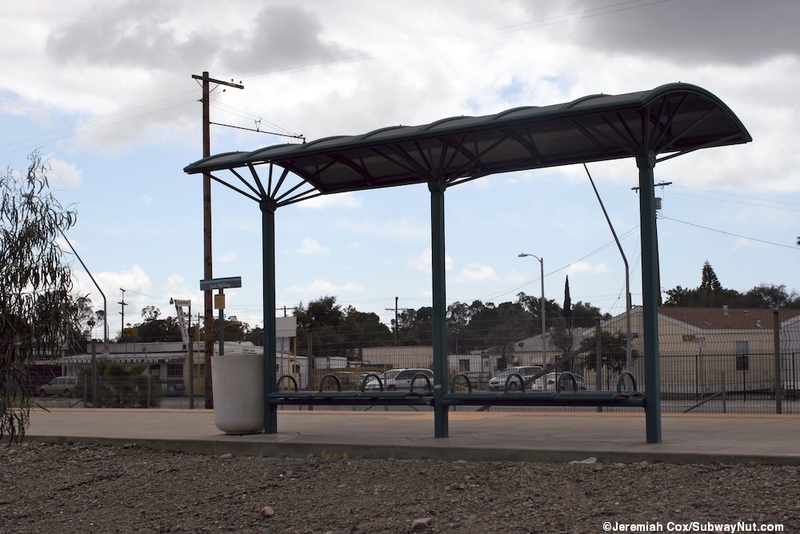 The platform extends a bit north with another small modern (bus-like) shelter but has no other entrances.